In recognition of March as Women’s History Month, meet the trailblazing ladies who made history by becoming the first to serve in what had been a male-dominated profession, the United States military. Born Opha May Jacob in Kokomo, Ind., in 1879, Opha May Johnson joined the Corps Aug. 13, 1918 -- before she, or any woman for that matter, was even allowed to vote. On March 21, 1917, Loretta Perfectus Walsh became America's first official enlisted woman of any Service when she joined the Navy. Walsh was asked if she would enlist in the Naval Reserve Force as a chief yeoman. She immediately agreed. 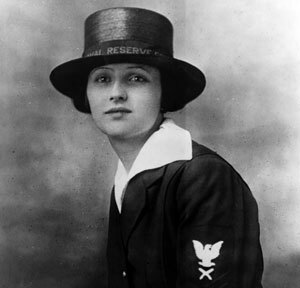 On March 21, 1917, after procuring and modifying a male chief petty officer’s uniform, Walsh made history by enlisting in the Naval Reserve -- the first woman to officially enlist in the military, and also the first female chief petty officer. 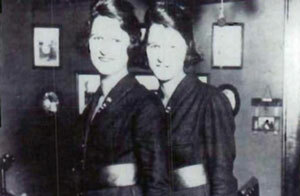 Twin sisters Genevieve and Lucille Baker transferred from the Naval Coastal Defense Reserve to the Coast Guard during World War I and may have been the first women to serve in the service. While women served the Coast Guard as far back as the 1830s as civilian lighthouse keepers, it wasn’t until World War I that they would wear the uniform of their service. That same year, the Baker sisters came over to the Coast Guard from the Naval Coastal Defense Reserves, where they were previously serving. However, Hazard is the first woman to officially take the oath of enlistment for her service. Blake’s service in the Air Force continued until 1954, at which time her commitment to her country continued in the form of service at the Veterans Regional Headquarters in Montgomery Al., until her death at the age of 82. 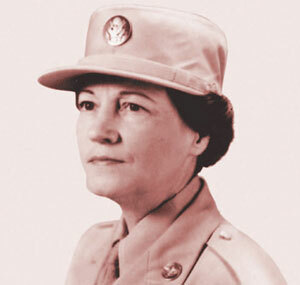 According to a 1975 Army Times story, after Sampson fell gravely ill, her attending physician, Dr. Barnabas Binney, discovered her gender, but kept it a secret. However, her ruse would be short-lived. The doctor’s niece became enamored with the battle-tested young soldier, and not wanting to lead her on, Sampson wrote a revealing letter, which the woman’s uncle showed to the unit’s commanding officer. General George Washington authorized her honorable discharge from the Army and she returned to her home in Massachusetts in 1784. Sampson died April 29, 1827, and was buried at Rock Ridge Cemetery in Sharon, Mass. 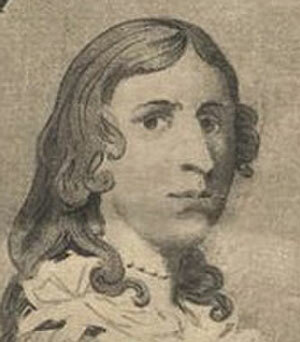 Her tombstone reads 'Deborah wife of Benjamin Gannett, dies April 29th, 1827, aged 68 years'. The reverse side of her tombstone reads 'Deborah Sampson Gannett, Robert Shurtliff, The Female Soldier Service 1781-1783'.